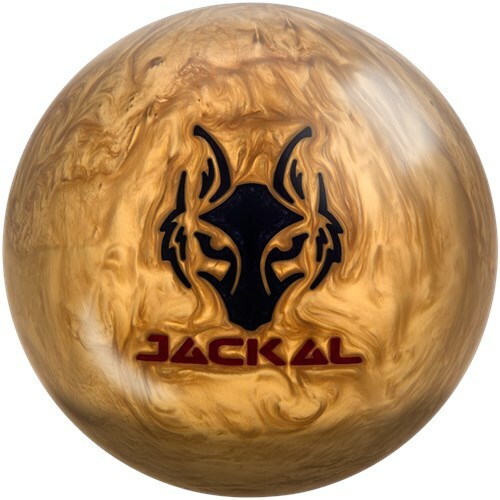 The legend of the Jackal is back as the Motiv Golden Jackal Pearl. This high performance bowling ball provides more length through the oil and produces an exceptional backend motion. This version features the Predator V3 asymmetric core which creates huge track flare potential and hook power. This weight block also has a low RG which makes it easier to rev and control on heavier oil conditions. This ball is covered with the Hexion SE Pearl coverstock which produces a powerful angle when a high oil volume is present. 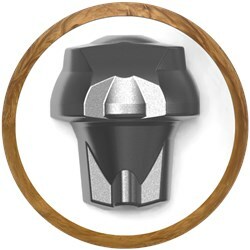 With a 4000 grit LSS finish this ball gives great down lane motion without losing traction. Similar Balls: Same Hook Potential, Lane Conditions & Coverstock as the Motiv Golden Jackal. Quite a tremendous compliment to my JACKAL GHOST - Which for me provides one of the best reactions from a MOTIV ball I have seen, The addition of a pearl coverstock to that line provides me with the perfect compliment while not having to sacrifice continuation or controllability when changing balls. Its performance and ability to compliment the Ghost was the perfect combination for me and its not bad looking either!!! Don't miss this one as you wont be disappointed! Looking for a ball that can produce a rather large track flare and a weight block that loves to rev up or better yet a ball that has the most hook potential and angular shape according to MOTIV Bowling? Well the Golden Jackal is a great choice. The Predator V3 asymmetrical core pared with the Hexion SE cover is a perfect match on multiple conditions. The Jackal product line has always been a trusted grouping of balls within the MOTIV line up and this ball can be used on many different conditions and fits well within most people's arsenal . With the Golden Jackal being a pearl, I really like the additional length I get when comparing it to the Trident Abyss. The Abyss focusses on the front part of the lane and is much smoother when it comes in contact with friction as opposed the Golden Jackal having the ability to get down lane and really create angularity as it responds to friction. I really like the Golden Jackal because it's versatile and with it being so angular, I can move in and still have confidence to not miss the breakpoint. The Golden Jackal will be less aggressive than the Hyper Cell Fused for it is a pearl and the Hyper Cell Fused is a Hybrid. Compared to the fused the Golden Jackal will probably start up alittle sooner because out of box it has a surface Nd isn’t polished like most pearls, but it’s still even with the surface it’s still clean and continuous down lane for being such a big ball. Currently I have a gb3 pearl, code x and a spoiler. In the long run I am looking for a new ball to get more of a hook towards the back end of the lane when lane conditions are long and heavy on the oil. Looking at new bowling ball options what would be a good choice? 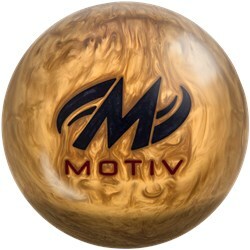 The Motiv Golden Jackal would be a great choice! I was going to recommend going with a pearl ball if you are looking for something that will have more hook on the backend and when lane conditions are long and heavy. Keep in mind, that this ball is meant for heavy lane conditions only so this will be a good ball to start out with. Due to the time it takes to produce the Motiv Golden Jackal ball it will ship in immediately. We cannot ship this ball outside the United States.